This romantic wedding and reception took place at the home of the bride and groom. The overall color scheme was ivory and tones of blush pink. Photos by Warwick Photography. 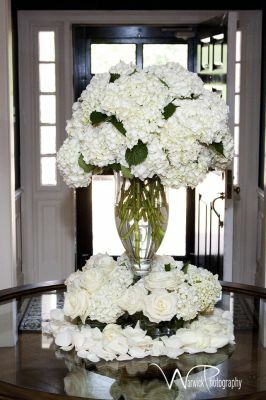 This large white piece greeted the guests in the entry. 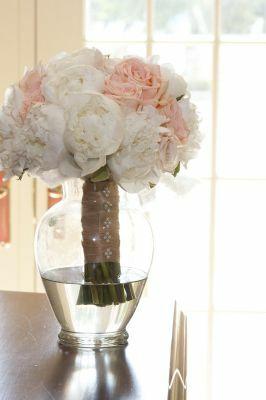 Very classic and romantic peony and rose bouquet for the bride. 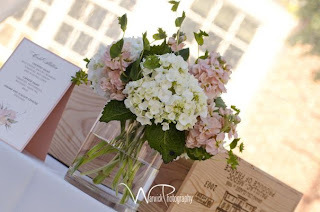 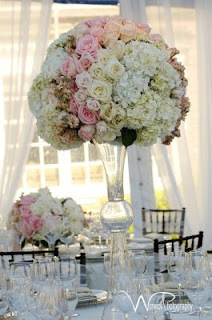 The reception tent was filled with soft blooms in tall and low centerpieces. 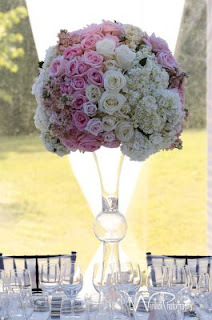 The enormous flower spheres were placed on top of a clear reverse trumpet vase. The tables opposite the tall centerpieces were filled with an overflowing pedestal of the same blooms. Smaller accents at the food stations. 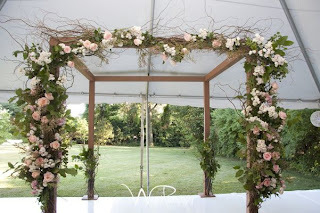 The ceremony tent featured this canopy covered in branches and blush blooms. 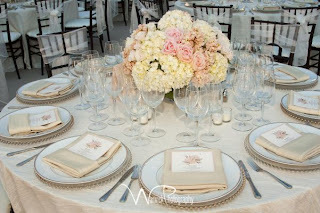 This spectacular event was a pleasure to be a part of. 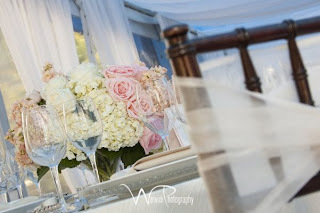 Thanks to Shayna at St. Louis Wedding Consultants for coordinating all the details.